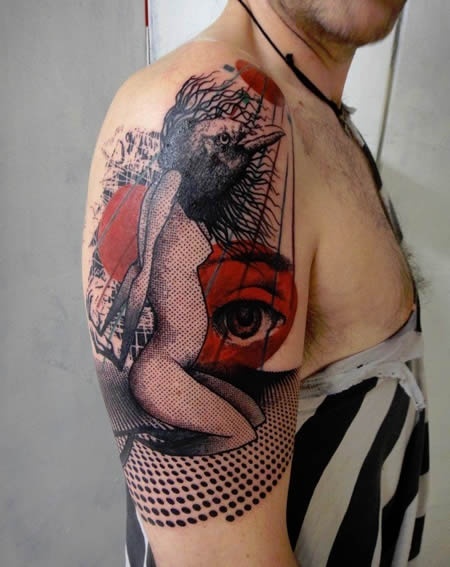 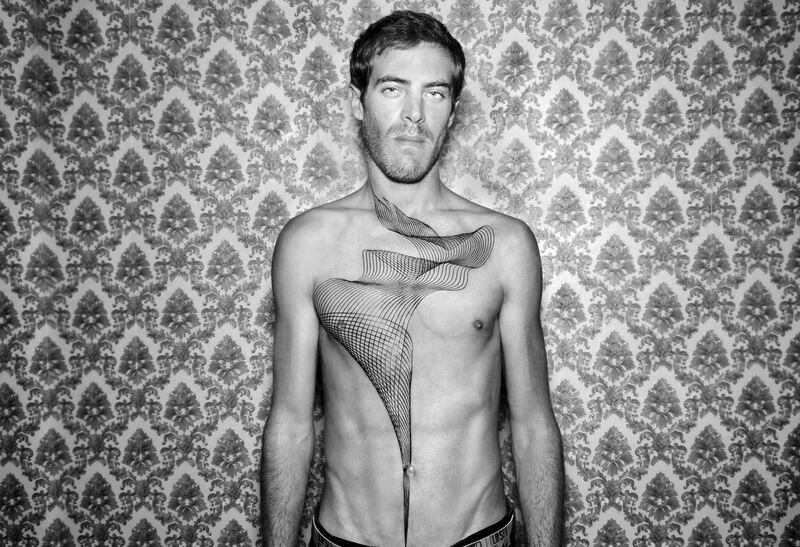 French tattoo artist Loïc Lavenu, also known by the nickname Xoïl, has a very distinctive Photoshop collage aesthetic. 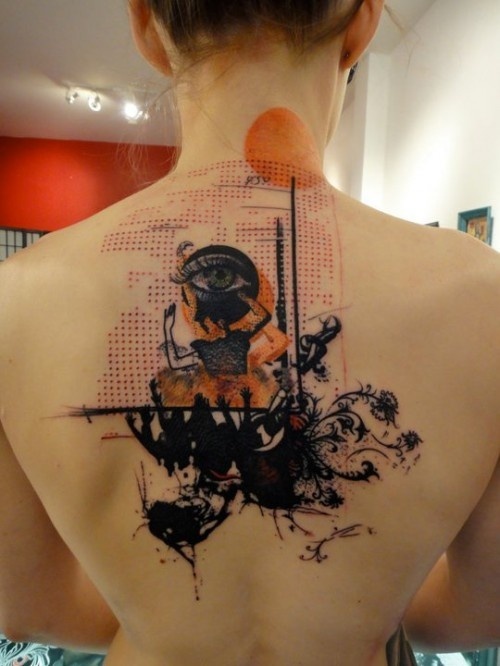 The results are always surreal, sprawling, and highly experimental. 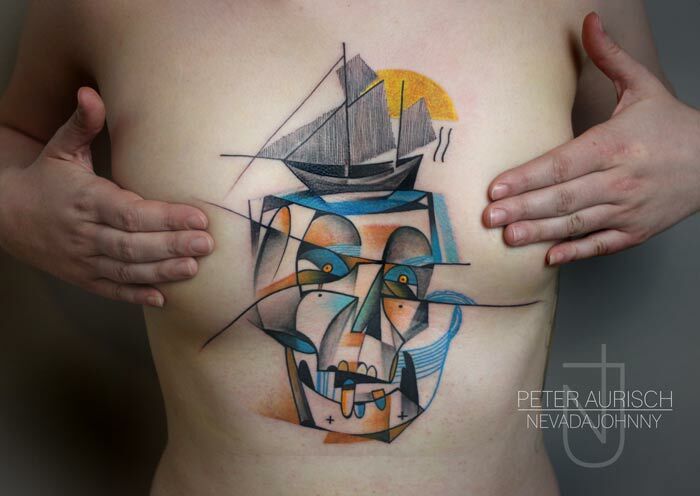 Peter is incredibly skilled at creating many visual art styles, be it watercolor, cubism, or precisely shaded pencil drawings. 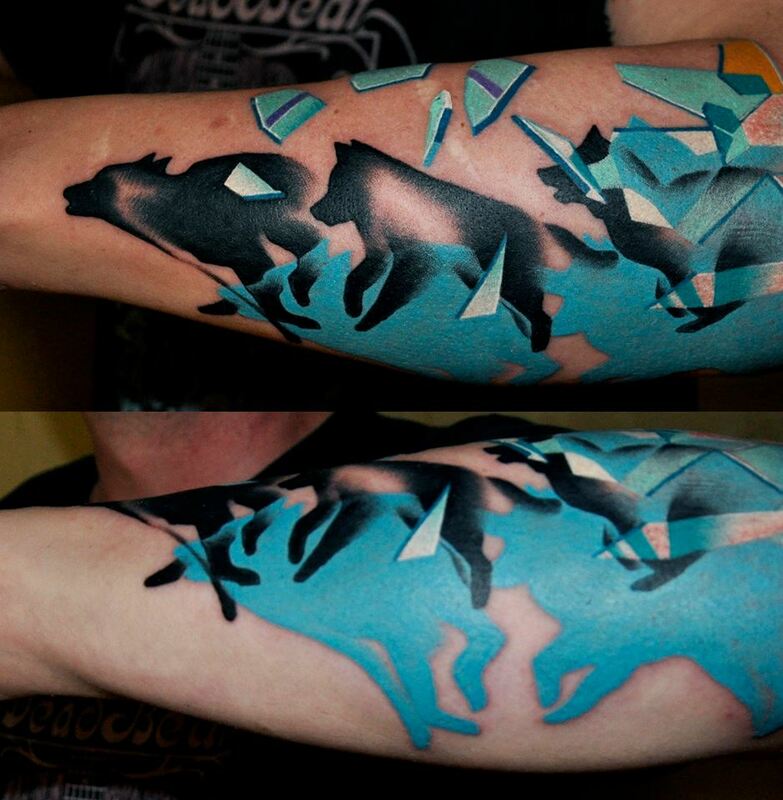 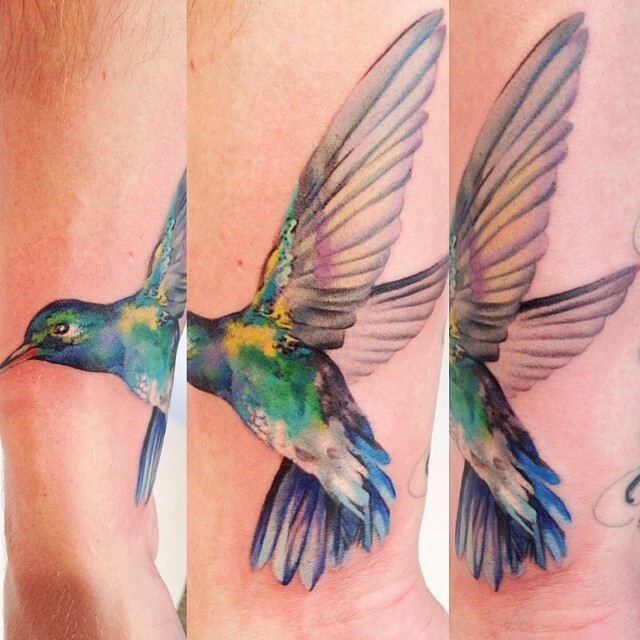 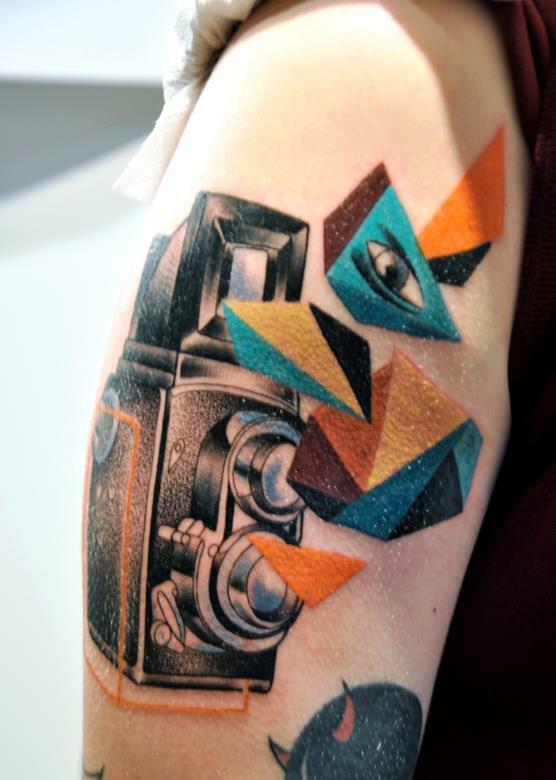 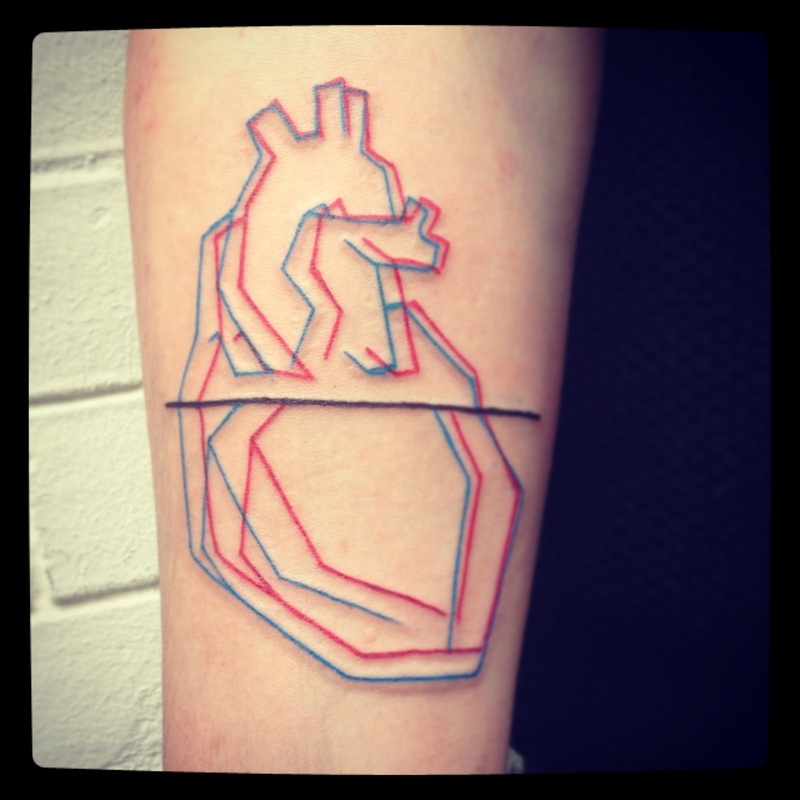 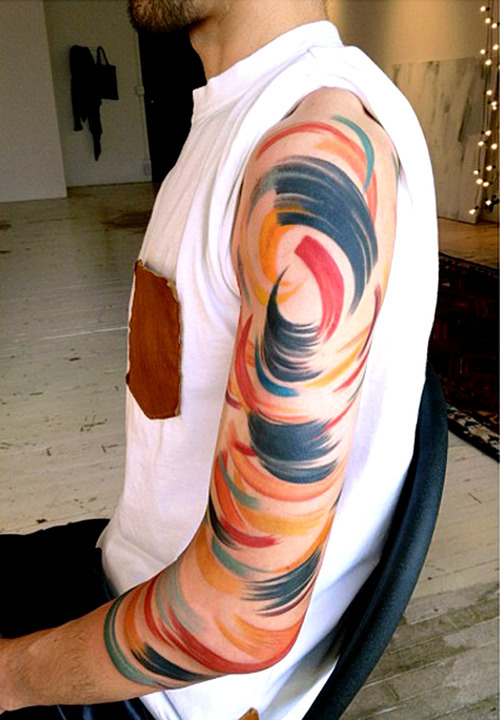 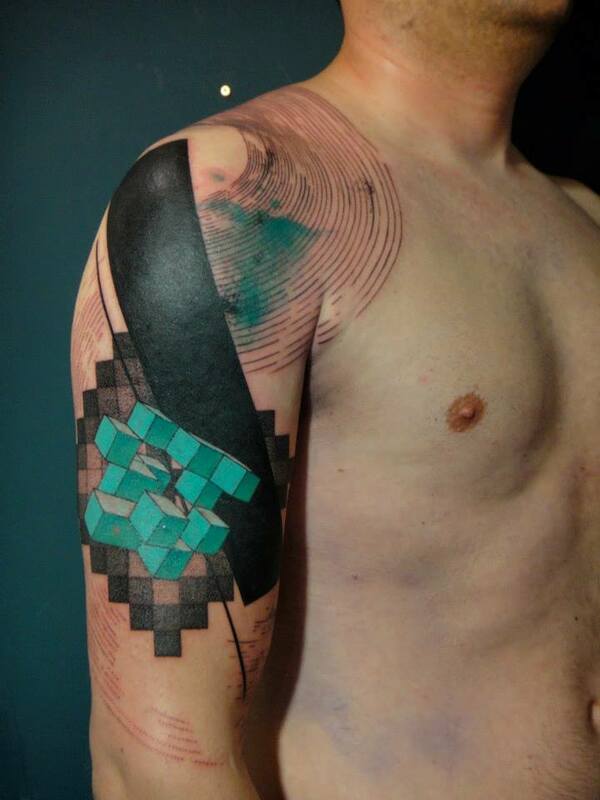 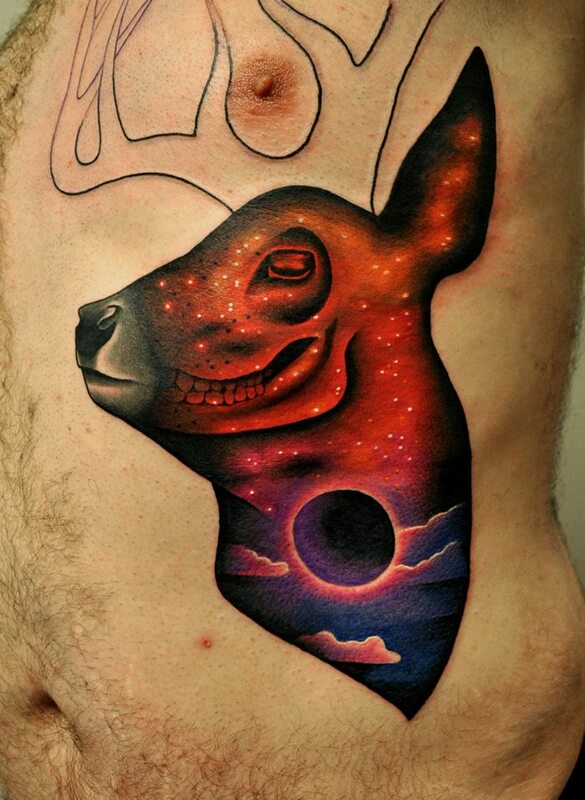 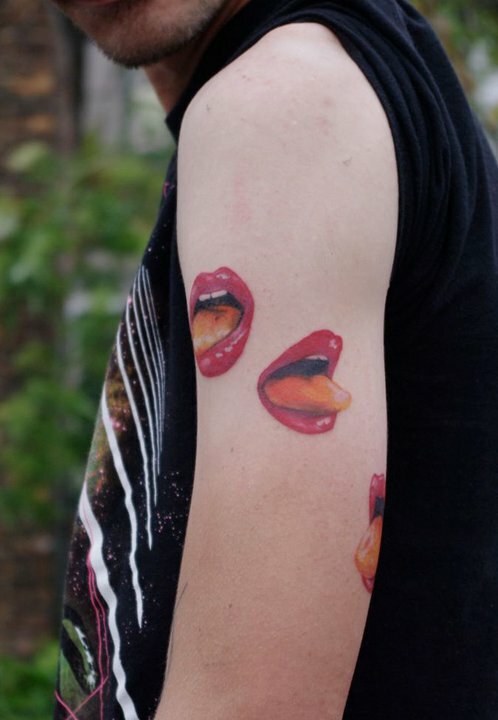 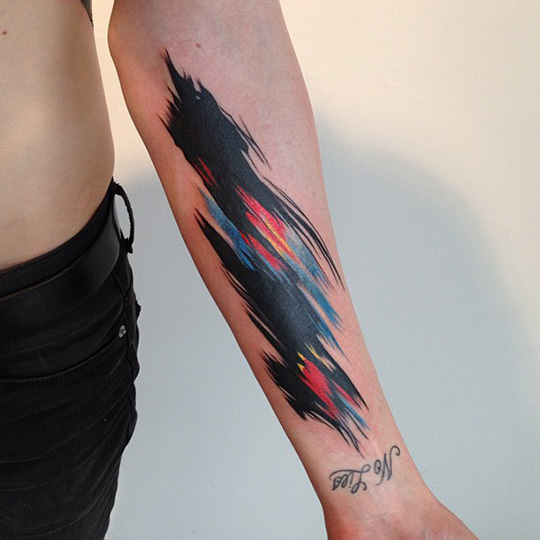 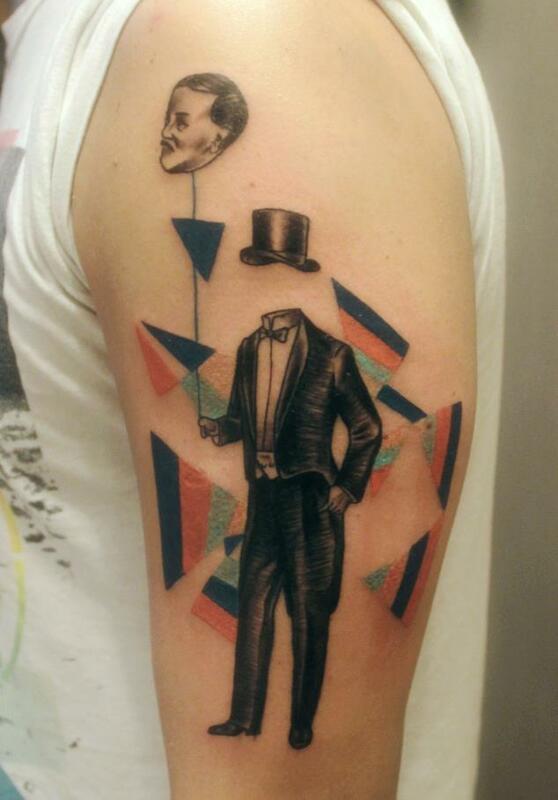 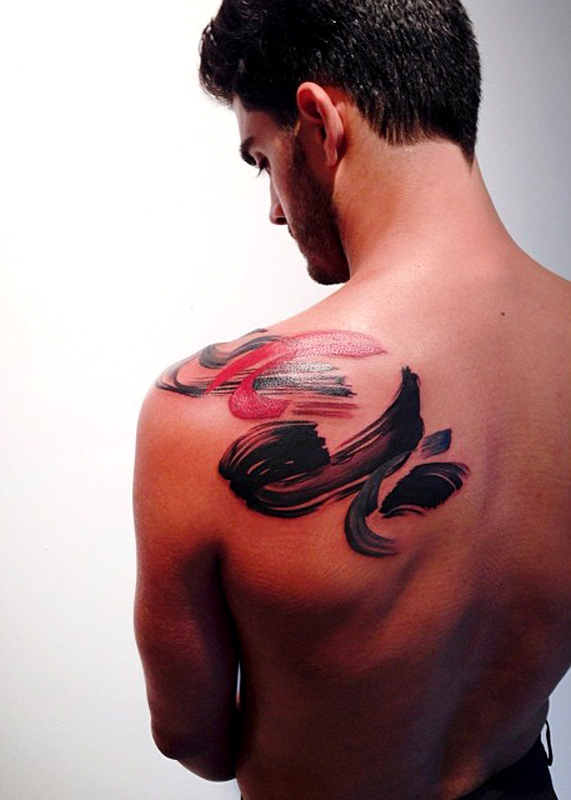 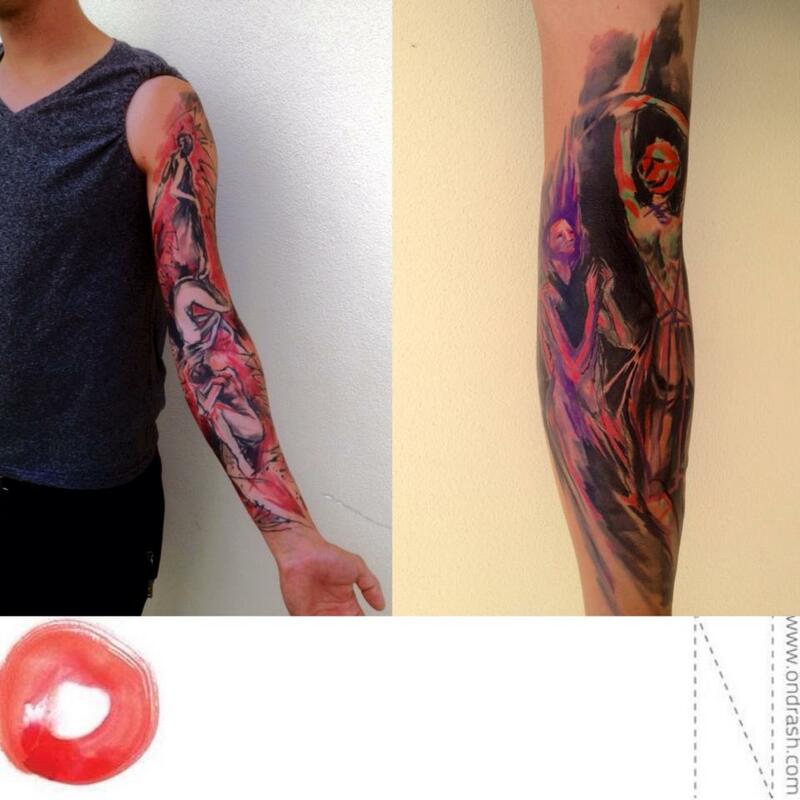 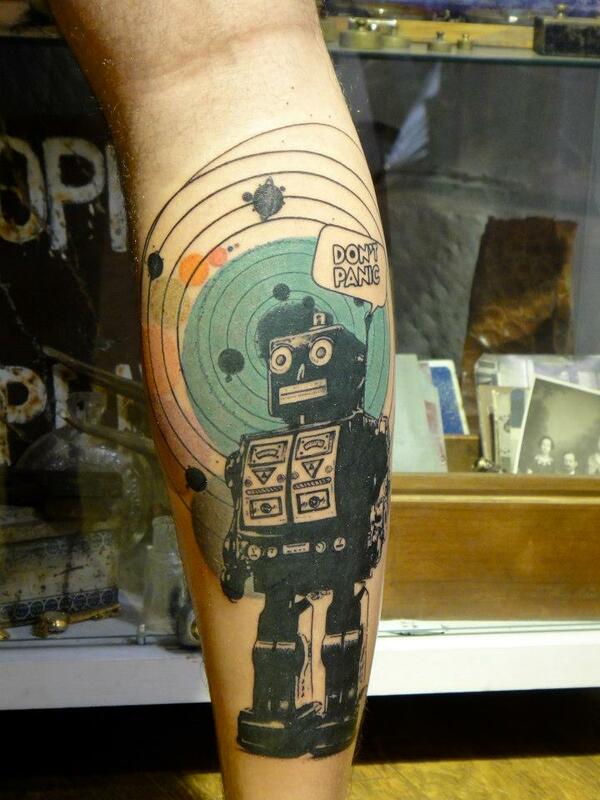 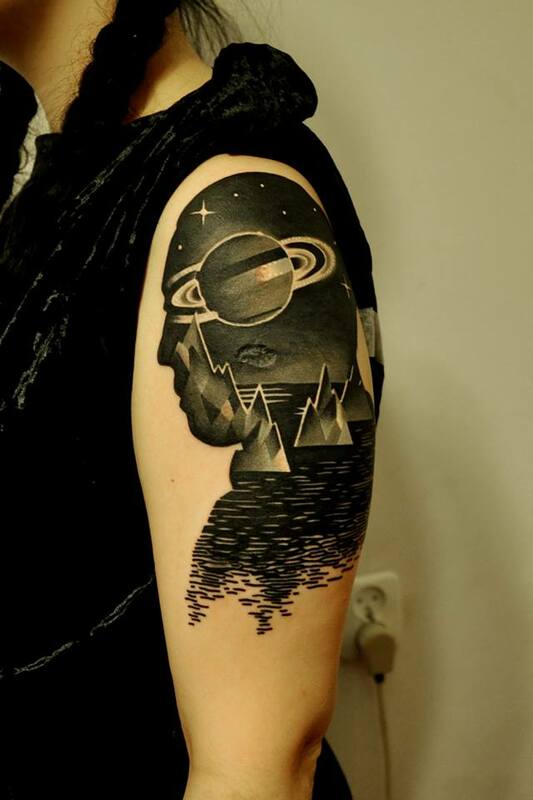 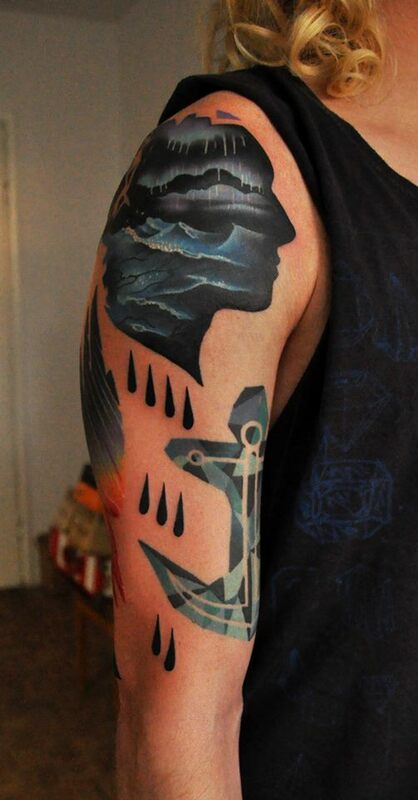 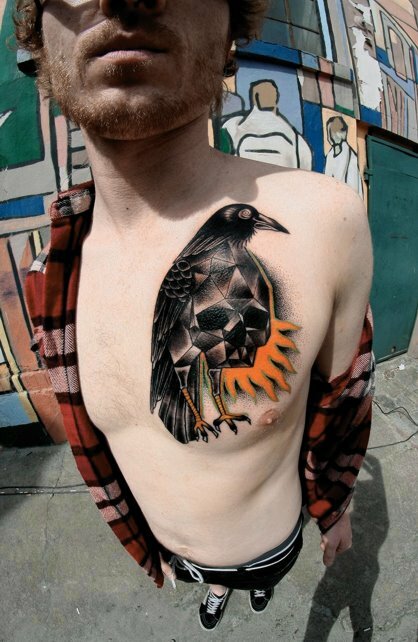 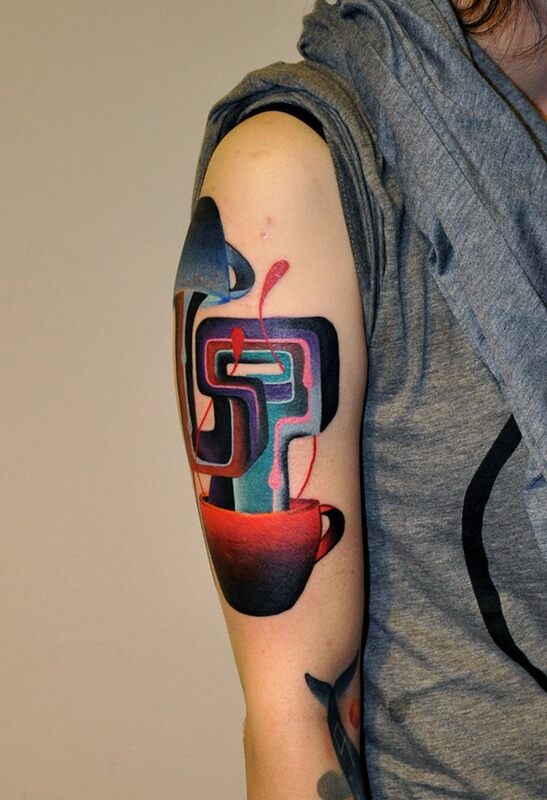 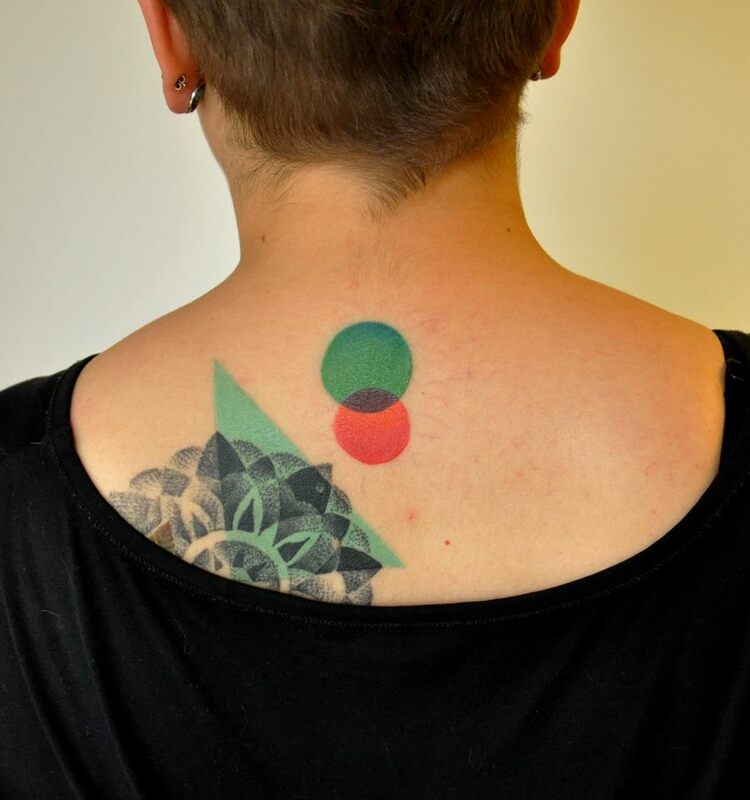 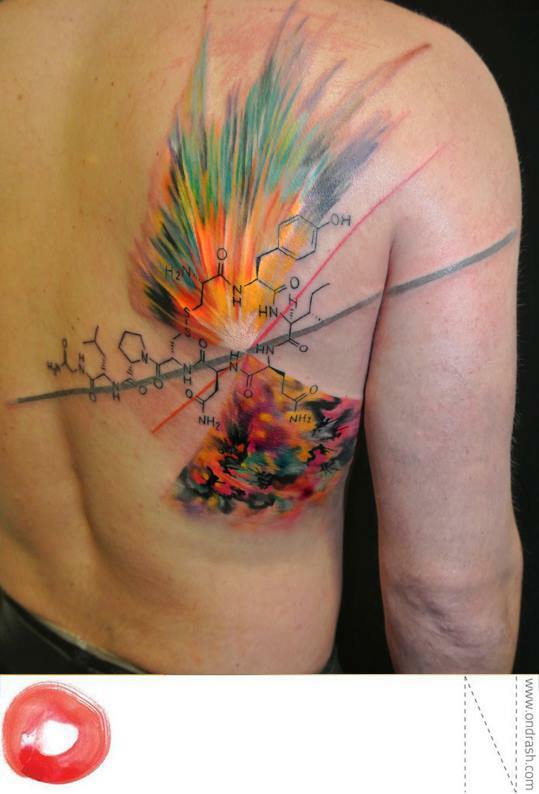 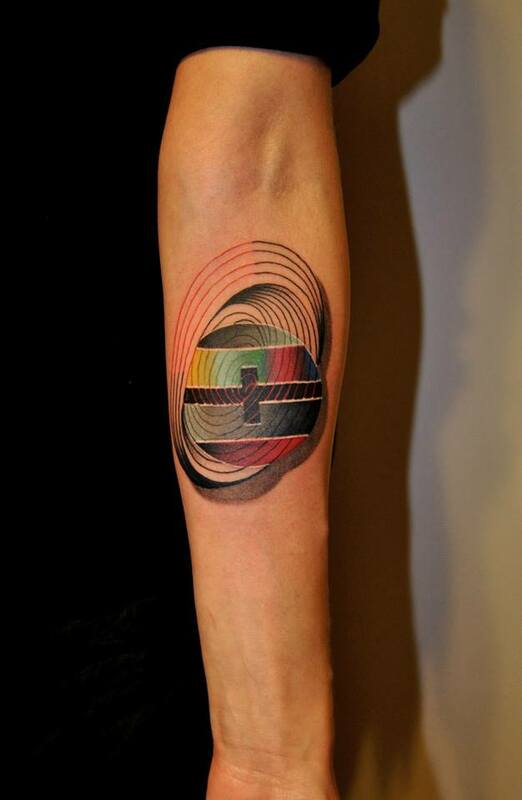 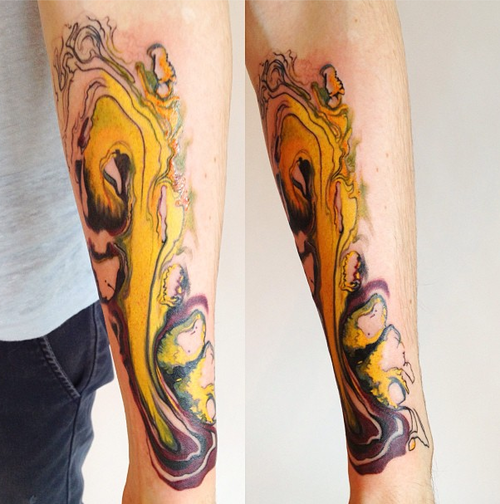 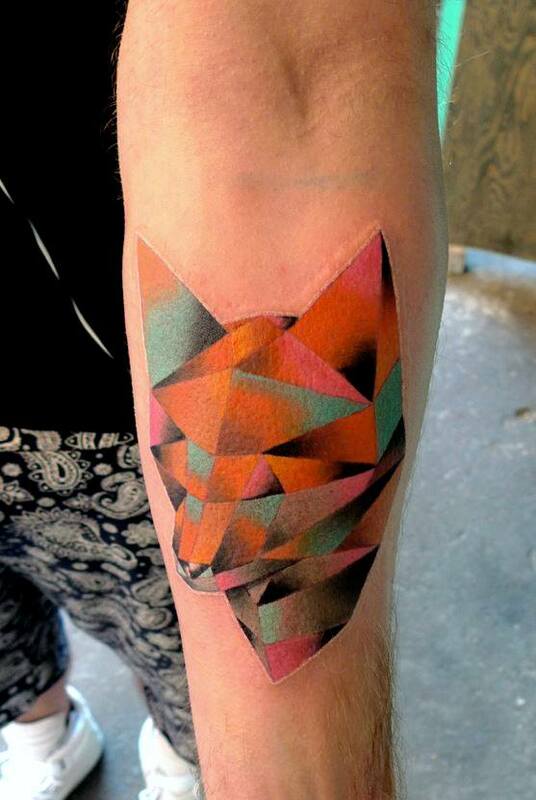 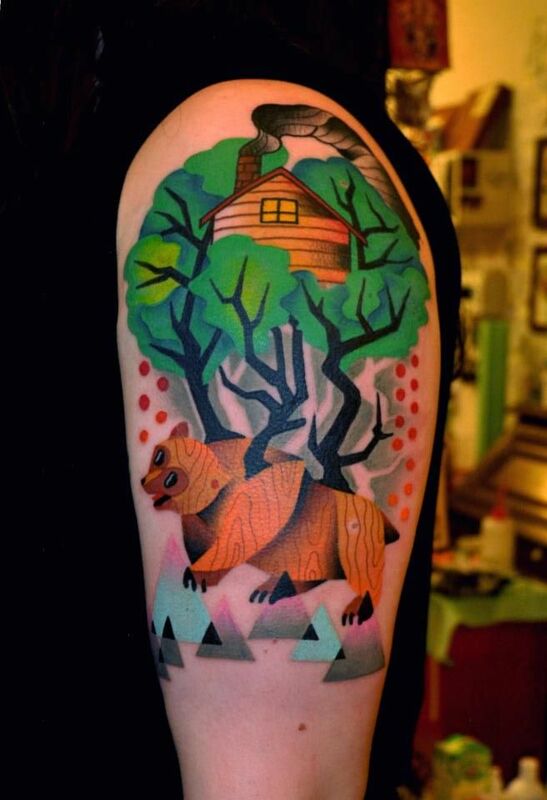 Mariusz has a flair for shading and creating incredibly vibrant tattoos that are practically neon. 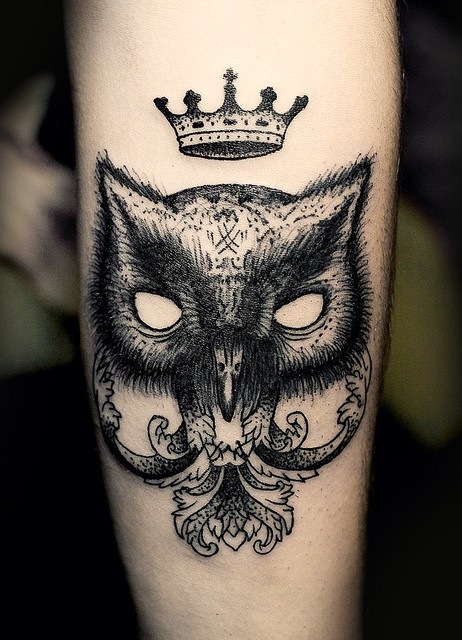 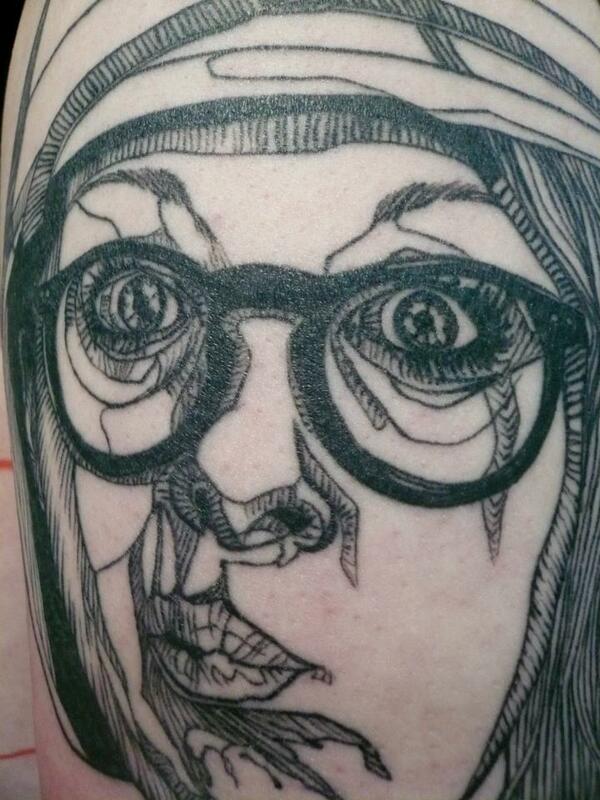 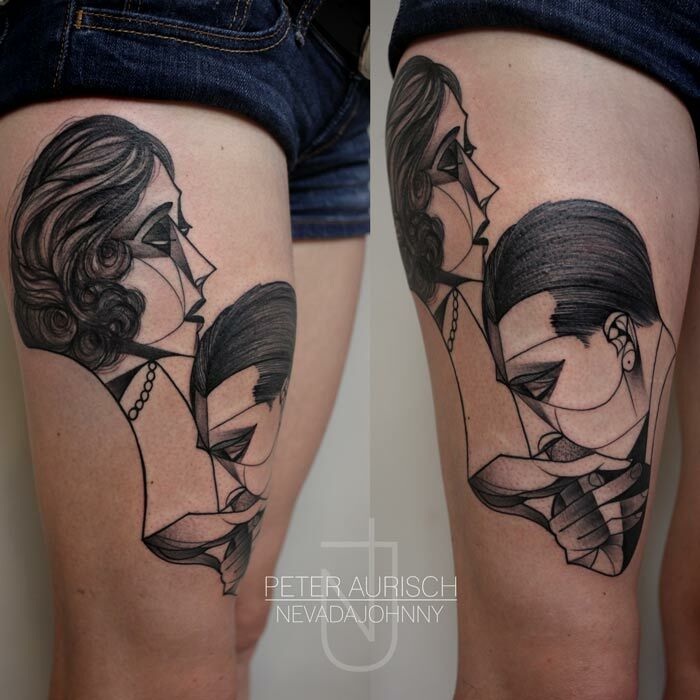 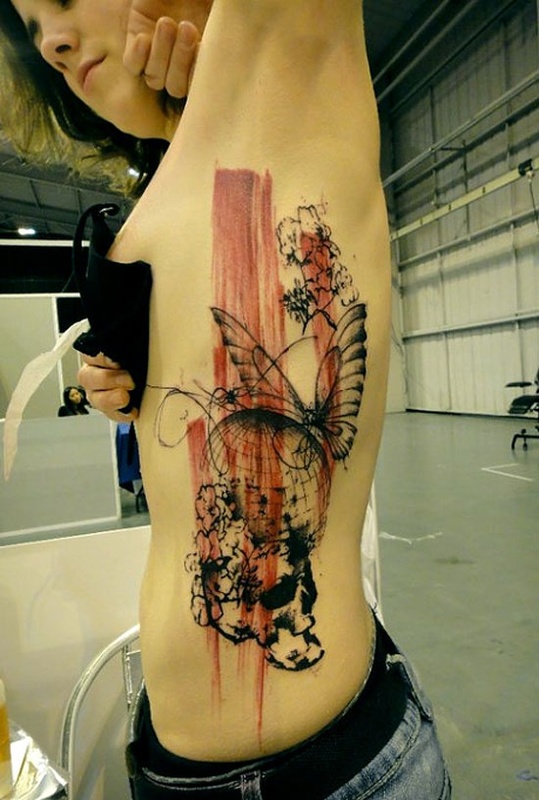 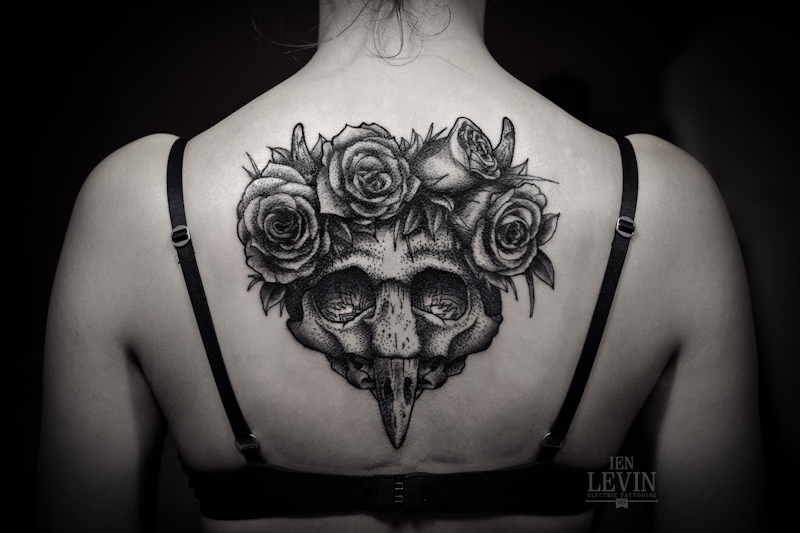 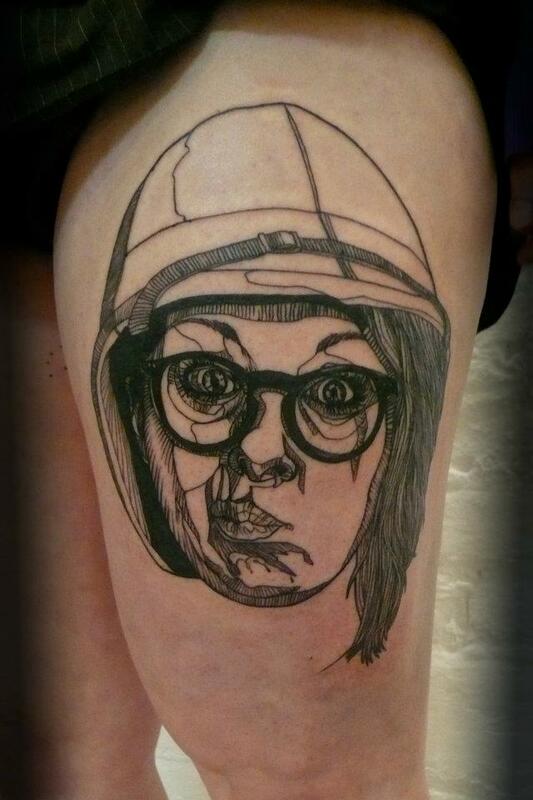 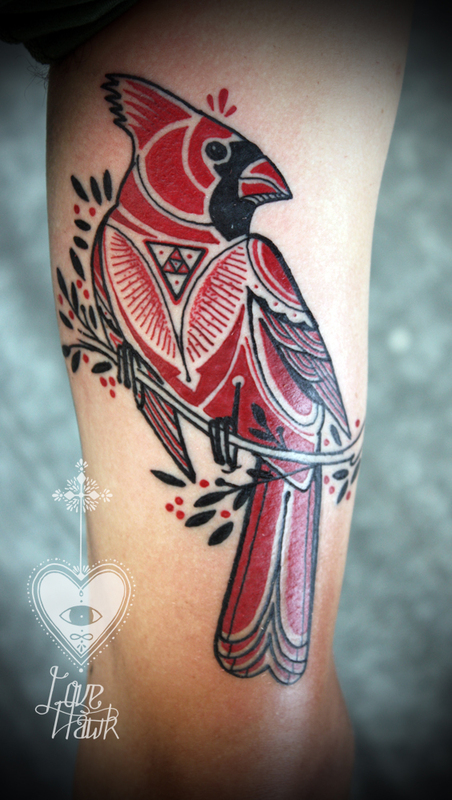 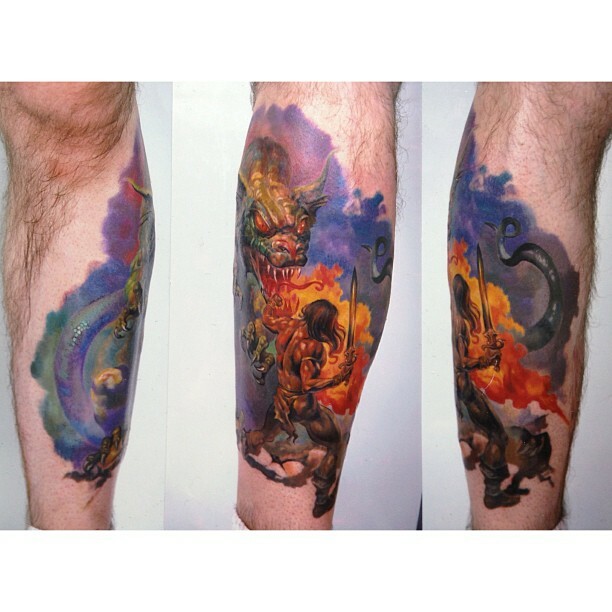 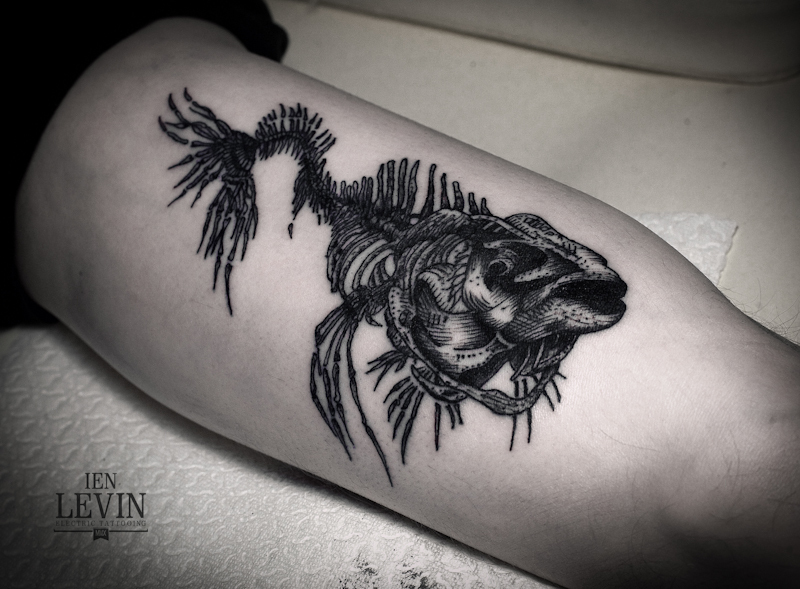 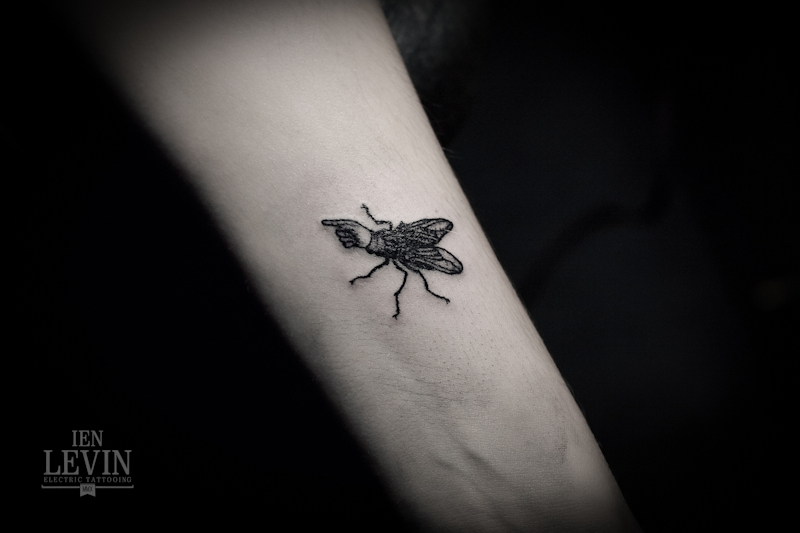 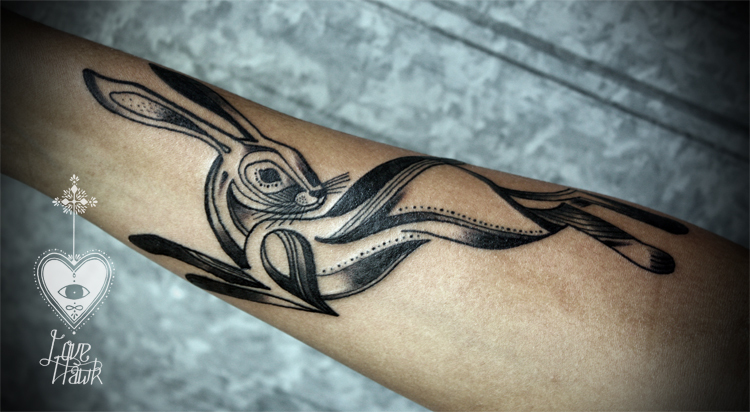 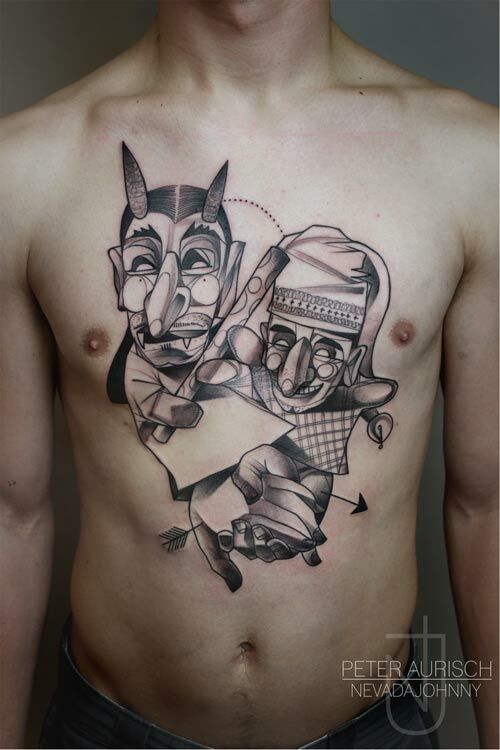 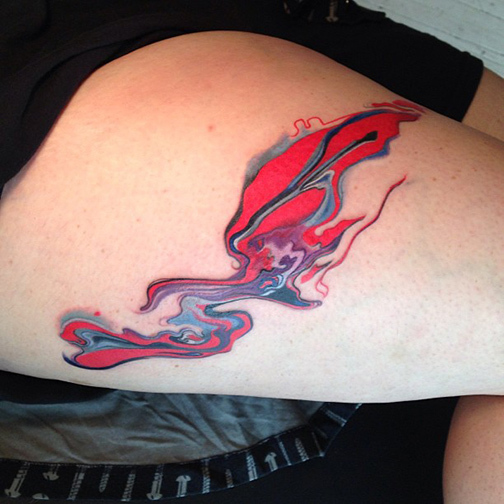 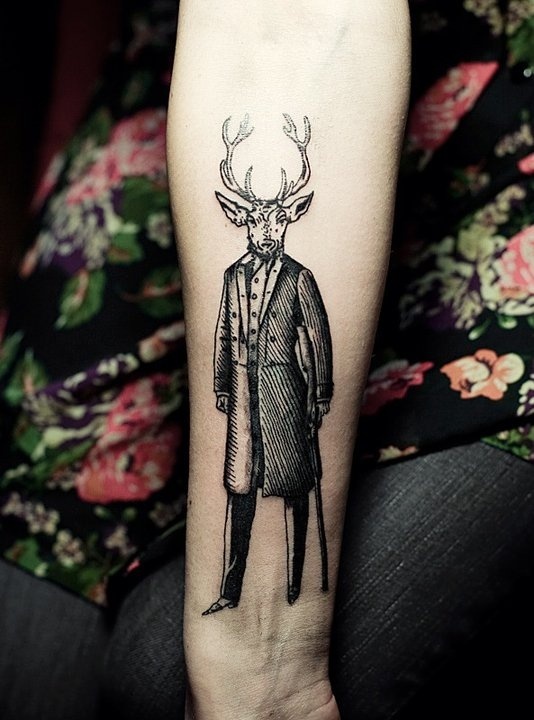 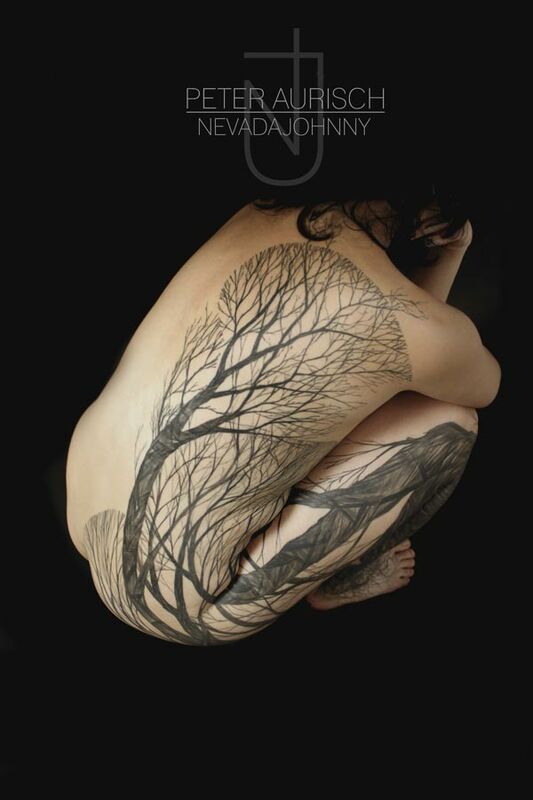 Madame Chän does a few different styles, but my favorite ones are the dreamy, chimerical tattoos she specializes in. 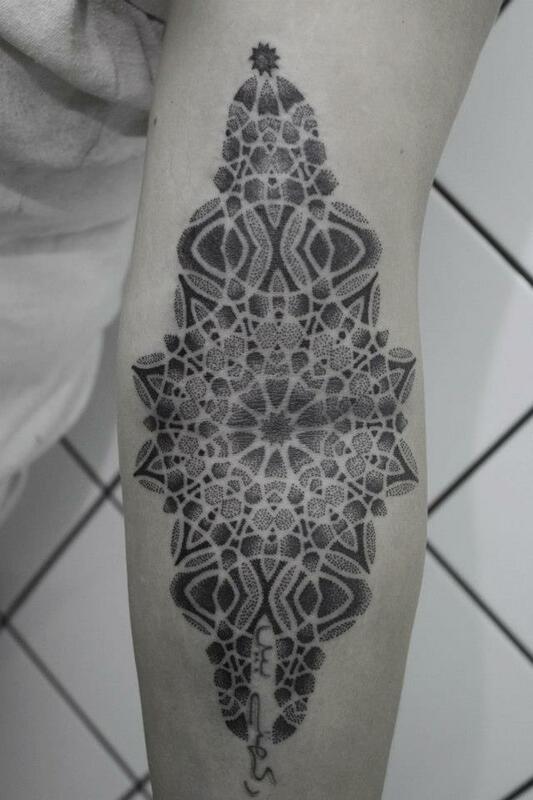 Kenji is known for a dotting technique called stippling. 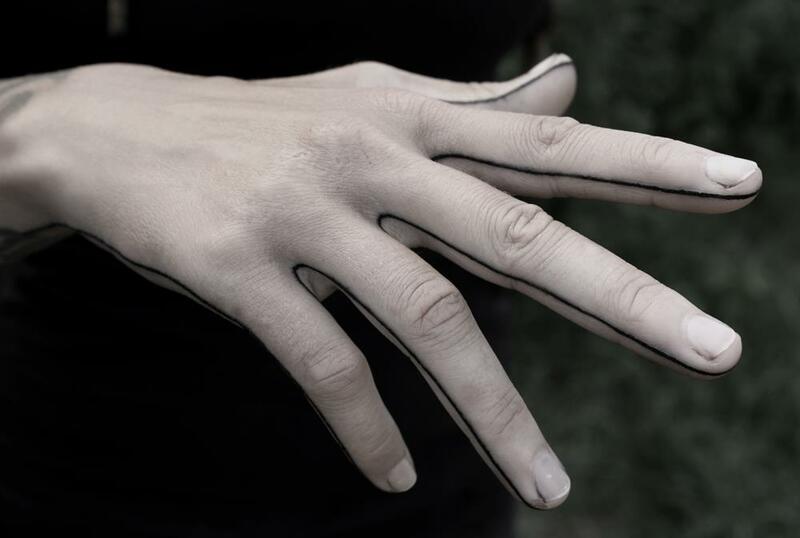 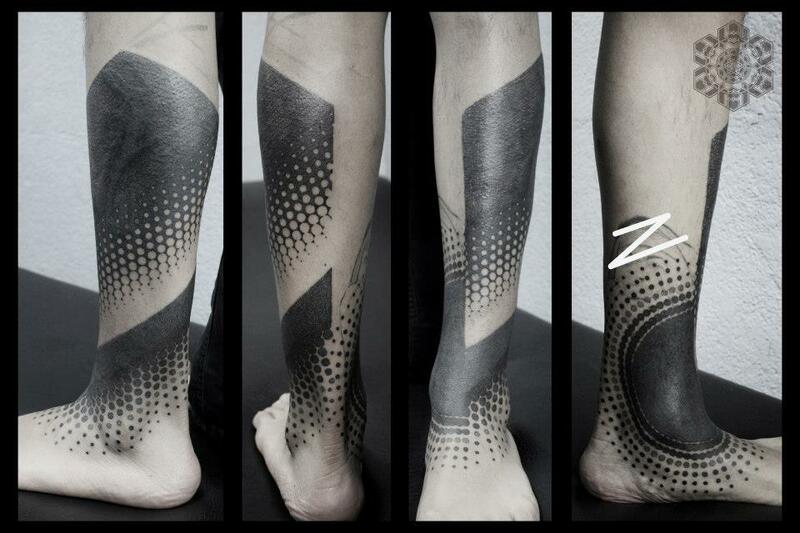 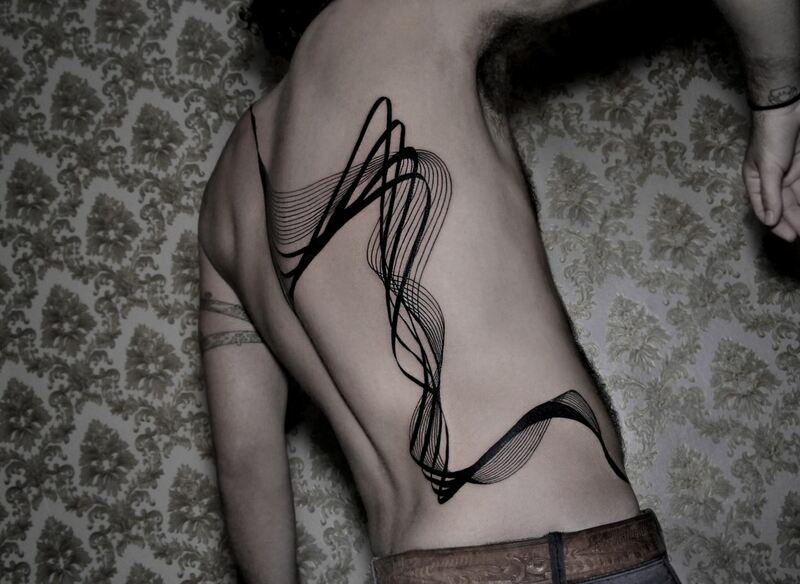 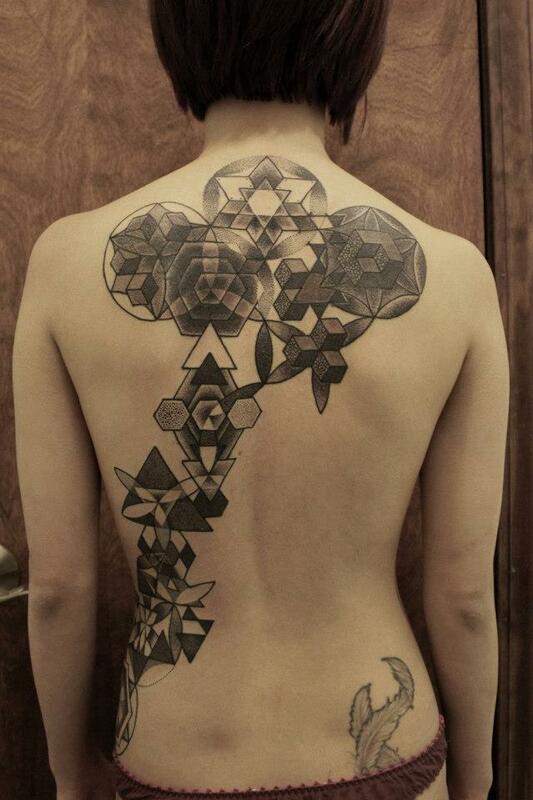 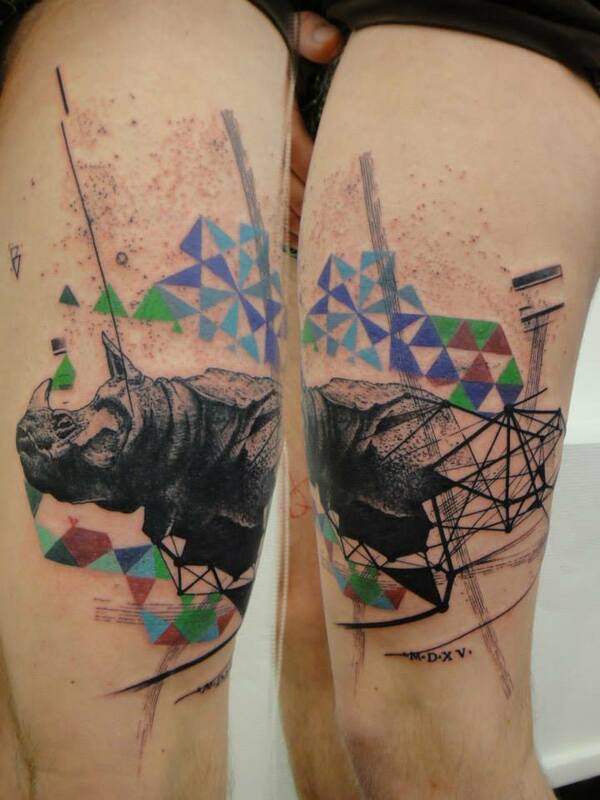 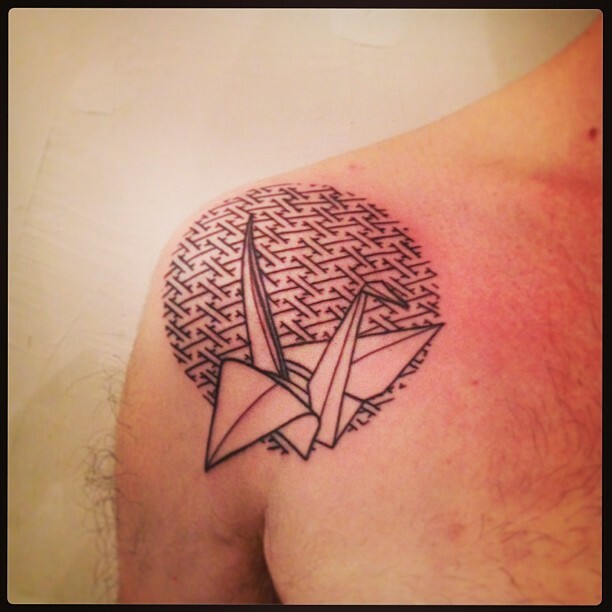 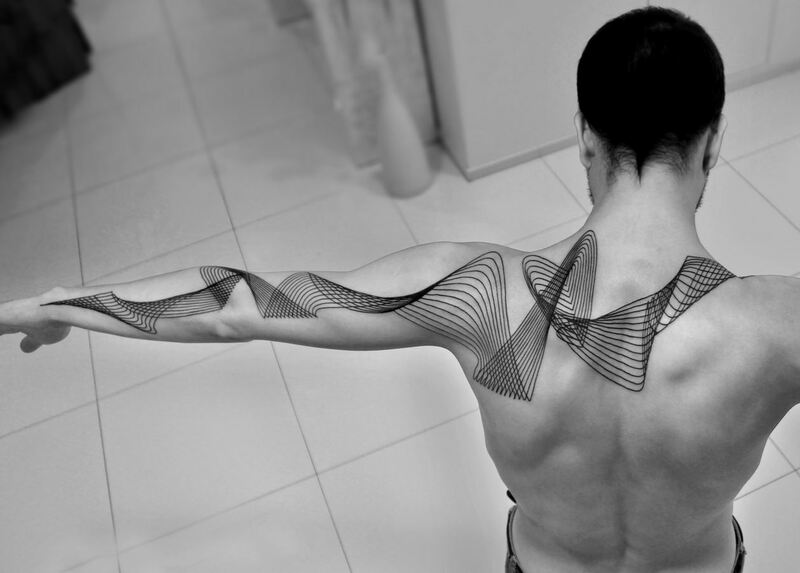 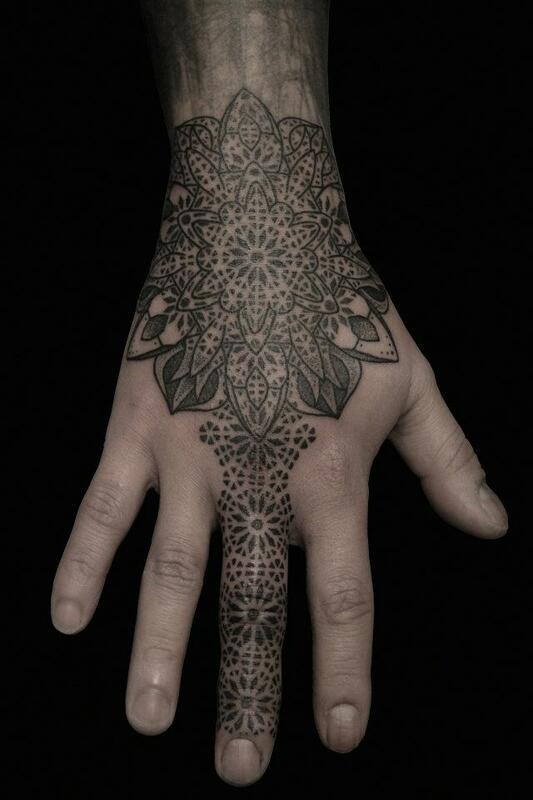 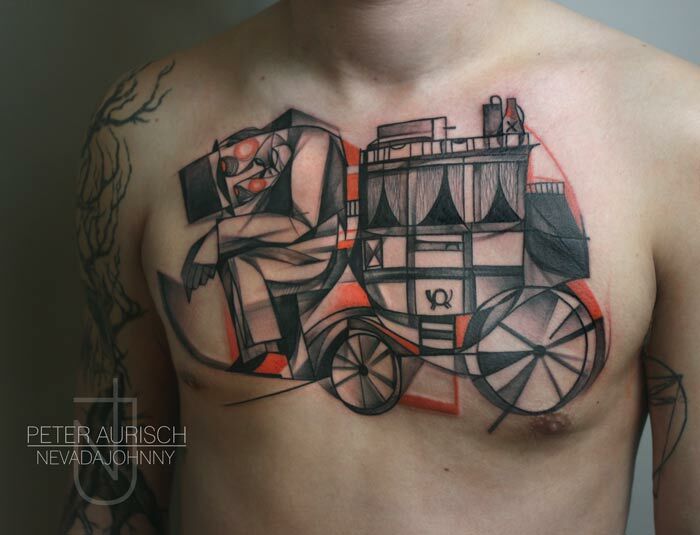 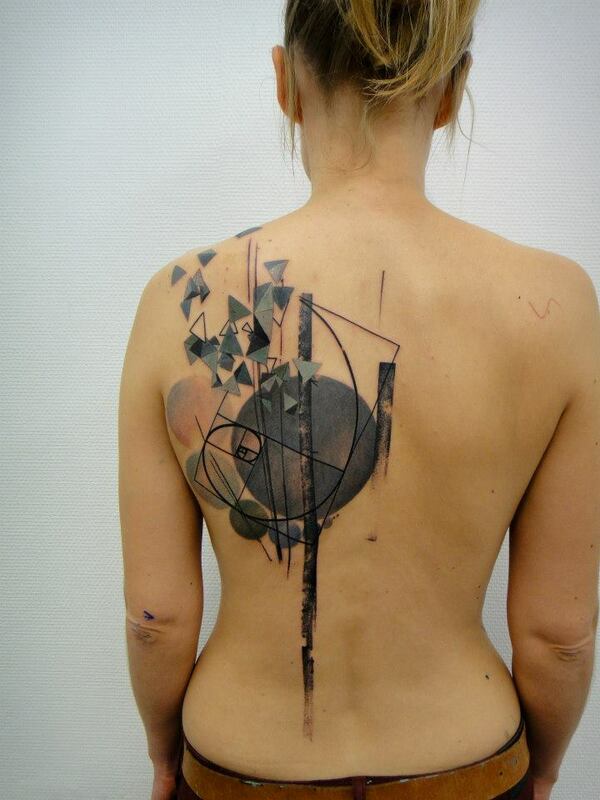 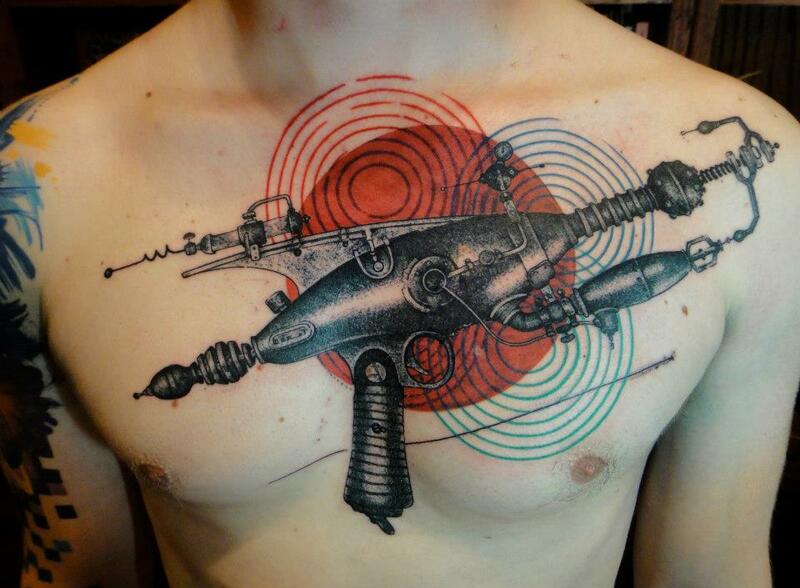 His tattoos employ geometric and tribal motifs, and beg to be inspected up close. 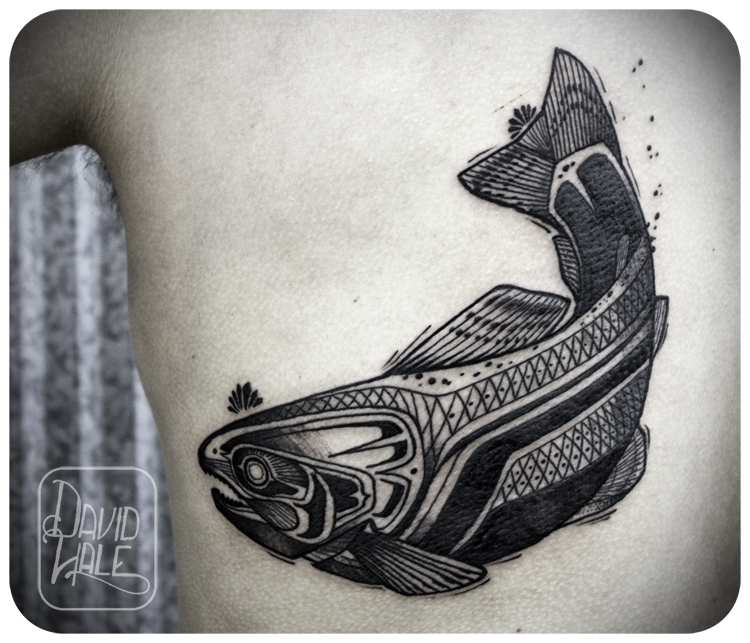 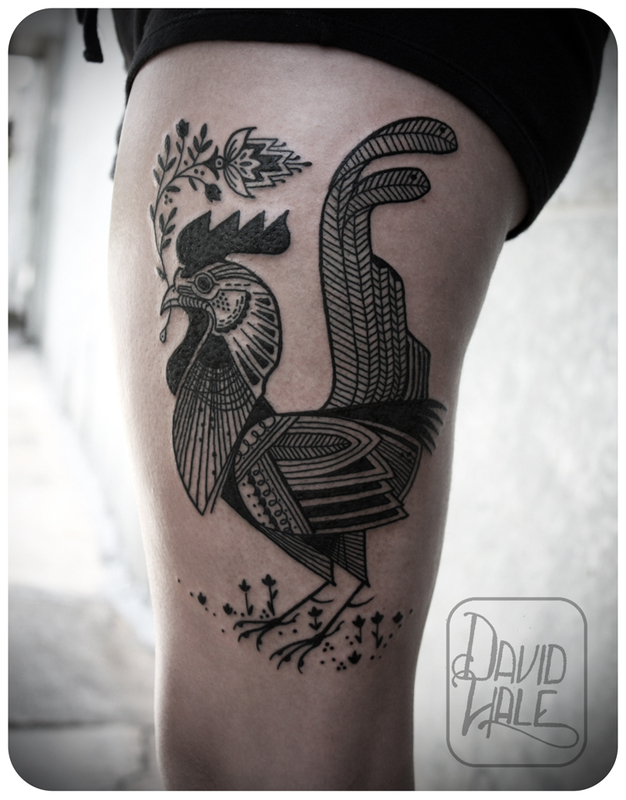 Working out of his own Love Hawk studios, David’s ornamental artwork is tinged with a folk-art spirit. 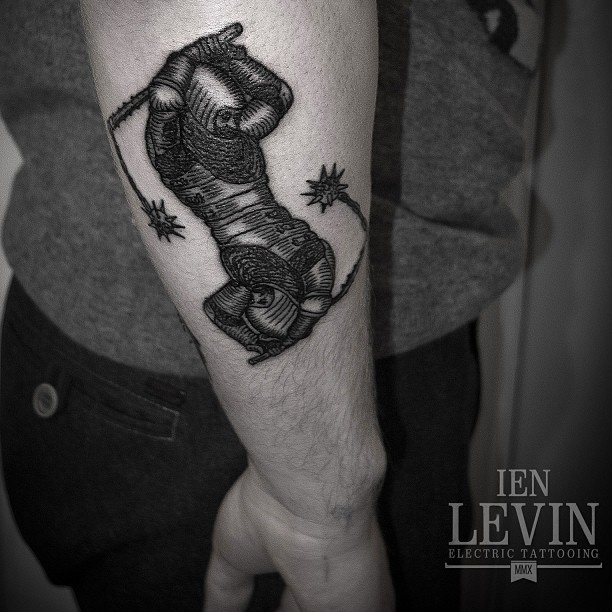 Ien works solely in black ink. 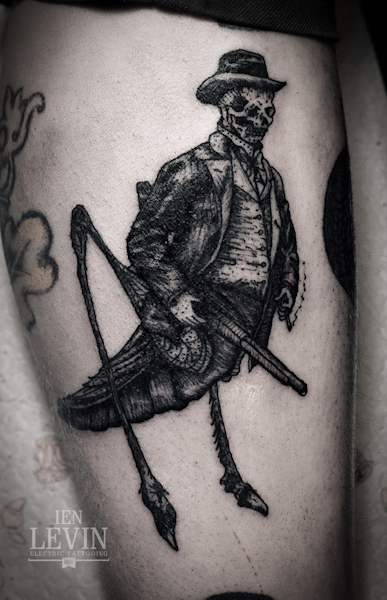 His extremely intricate drawing style has a macabre yet whimsical feel. 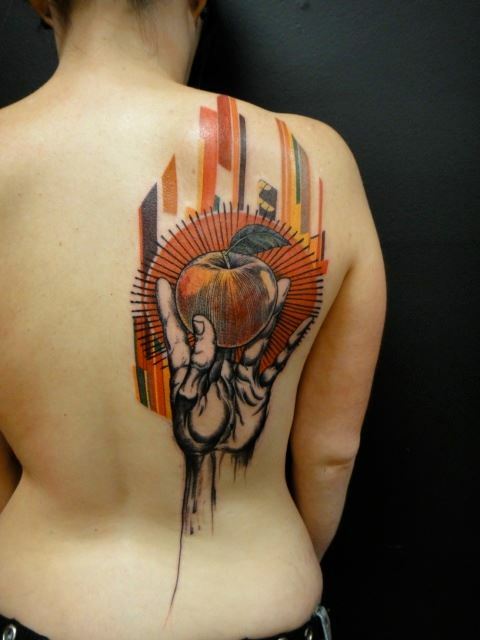 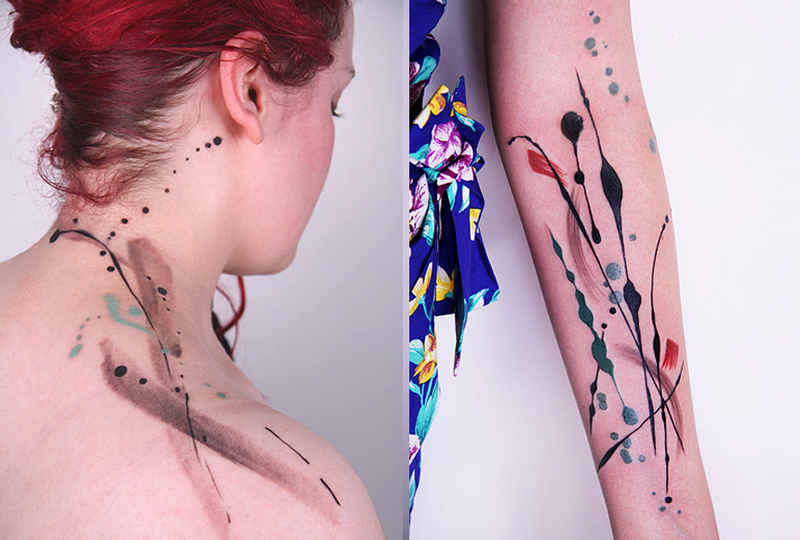 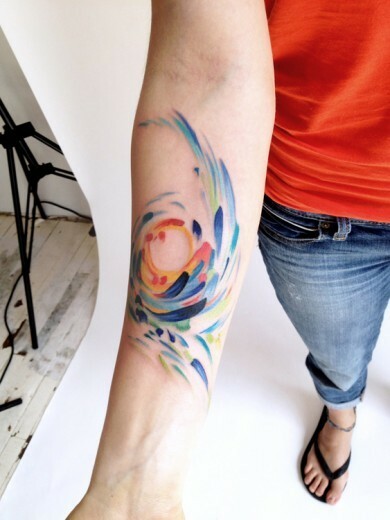 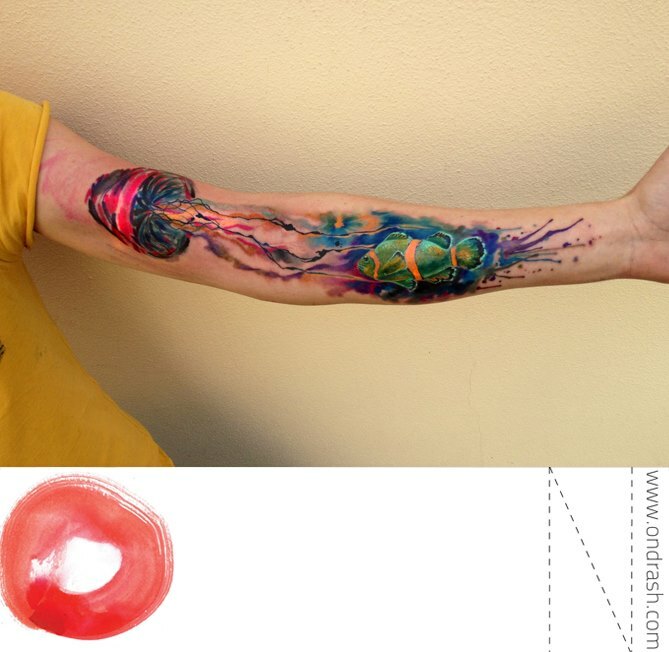 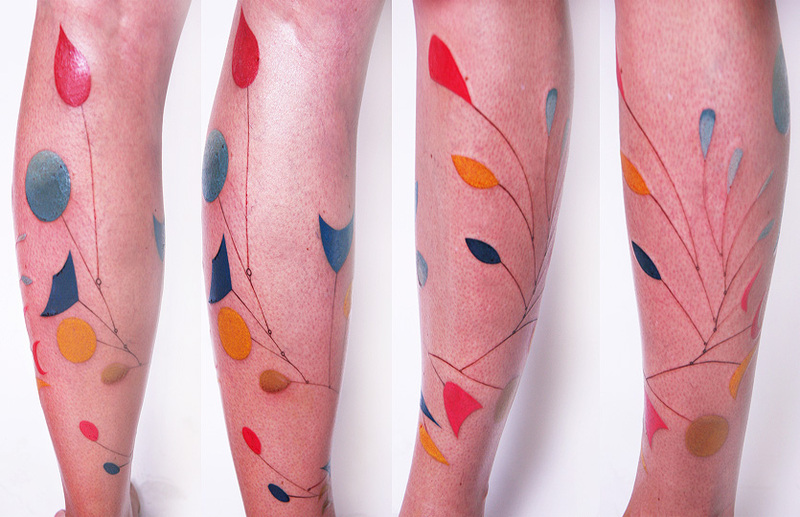 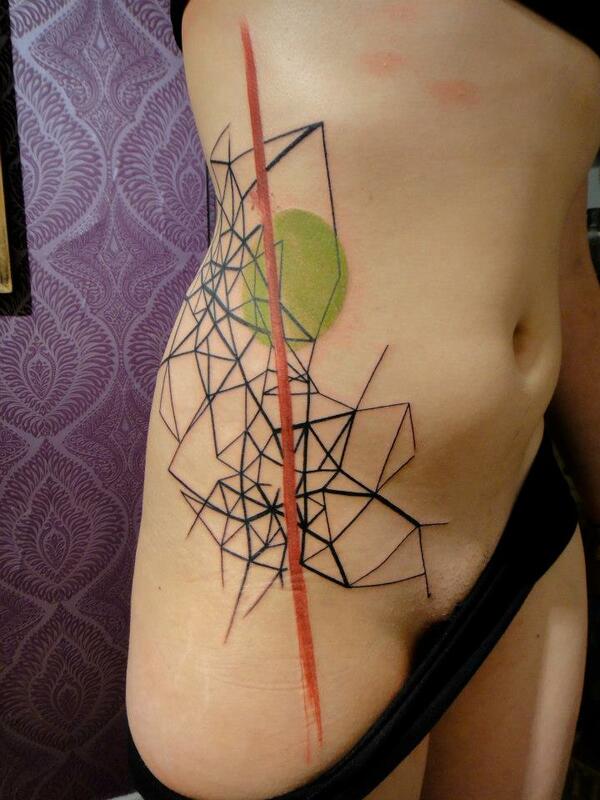 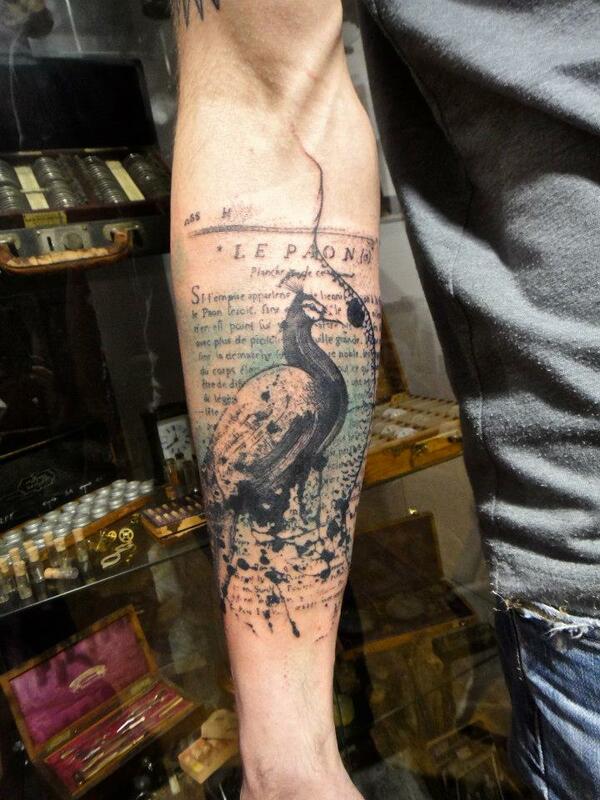 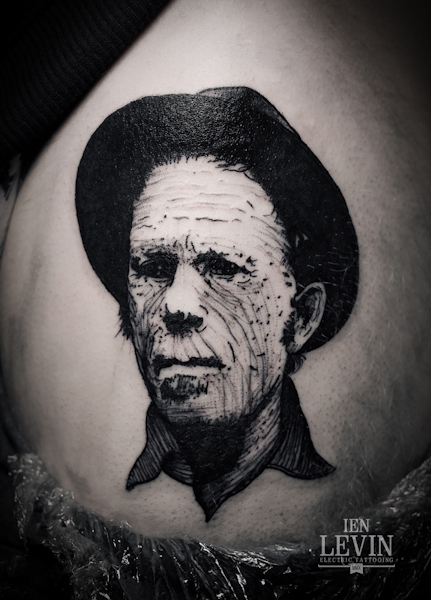 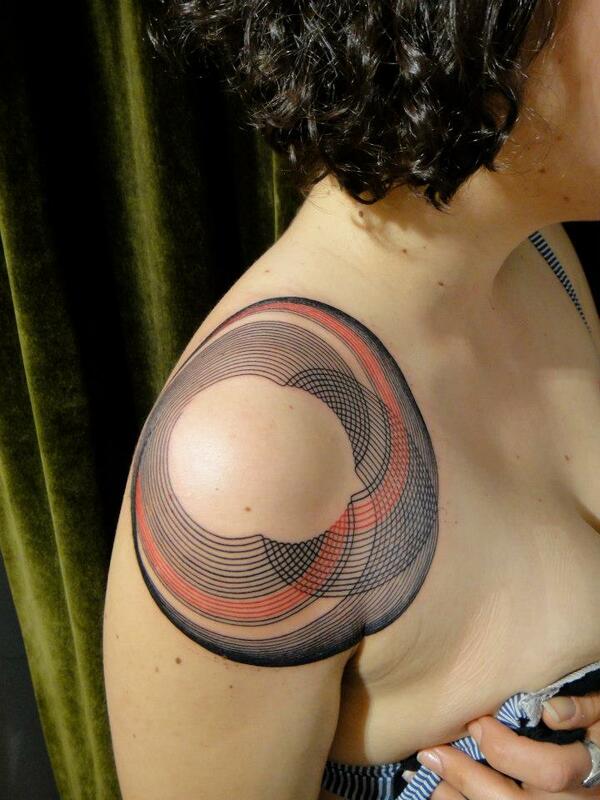 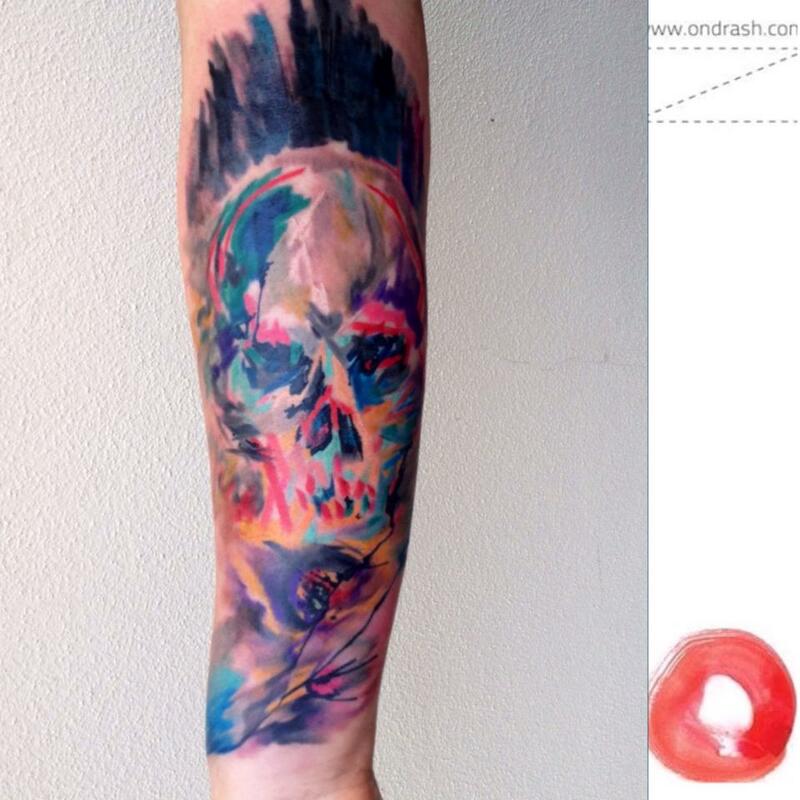 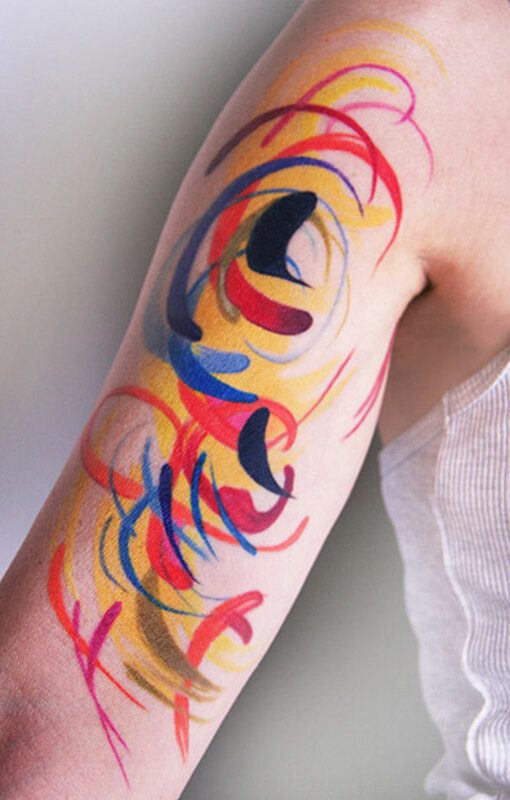 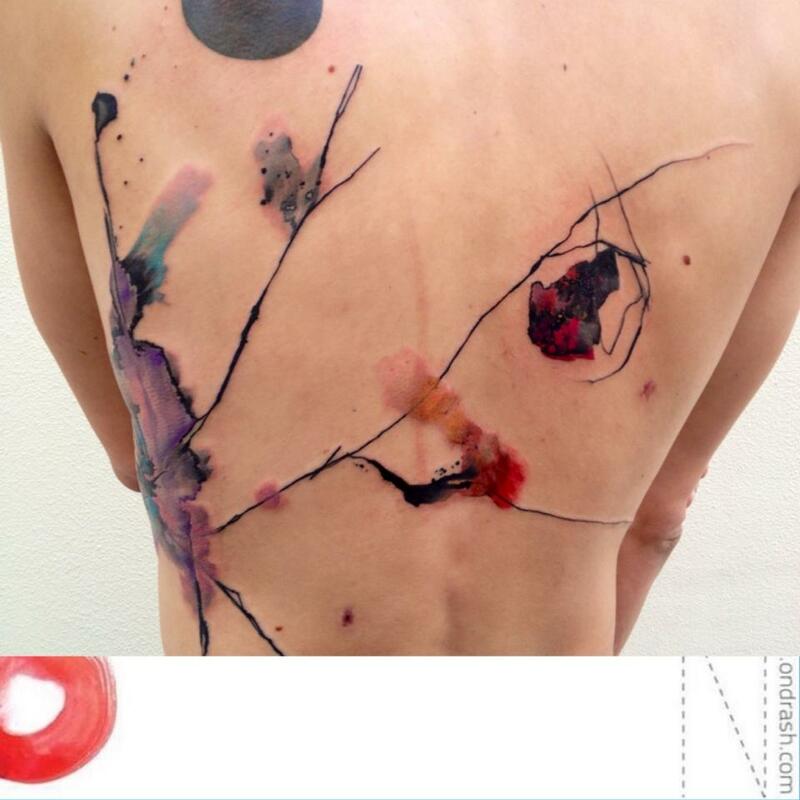 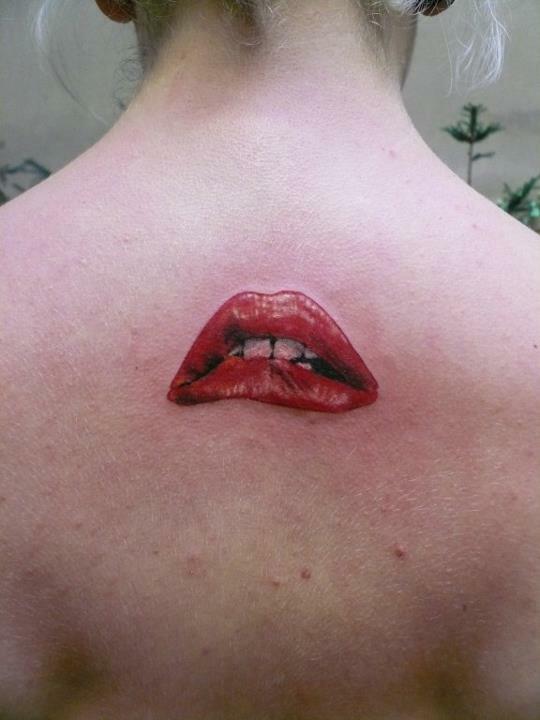 Amanda Wachob does the impossible with tattoo ink — her pieces look so impeccably close to real paintings. 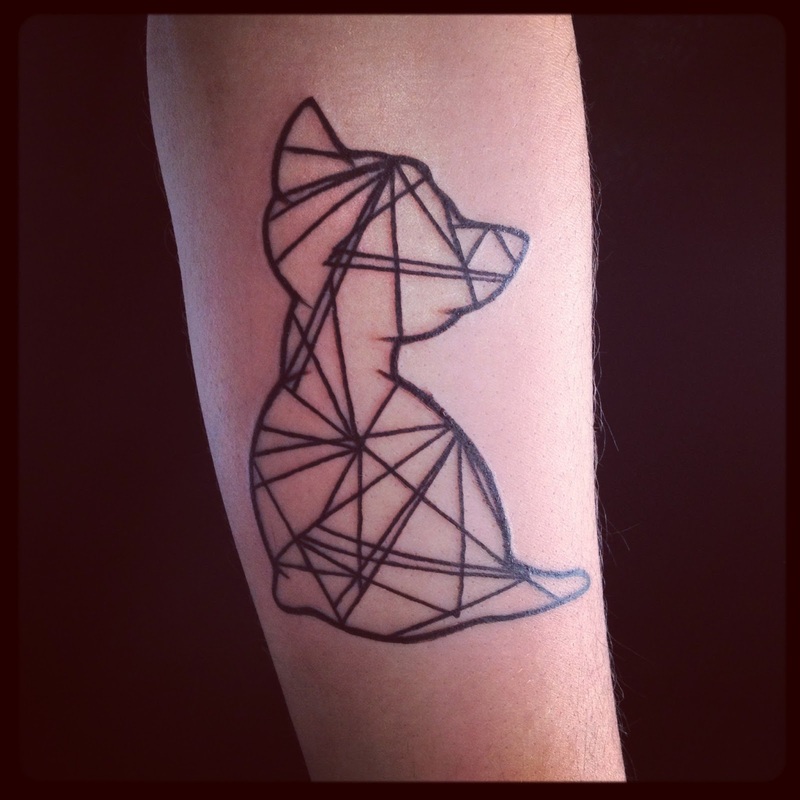 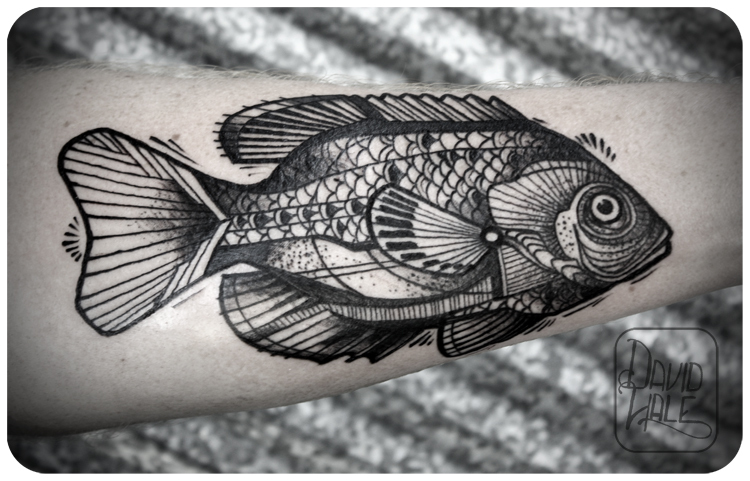 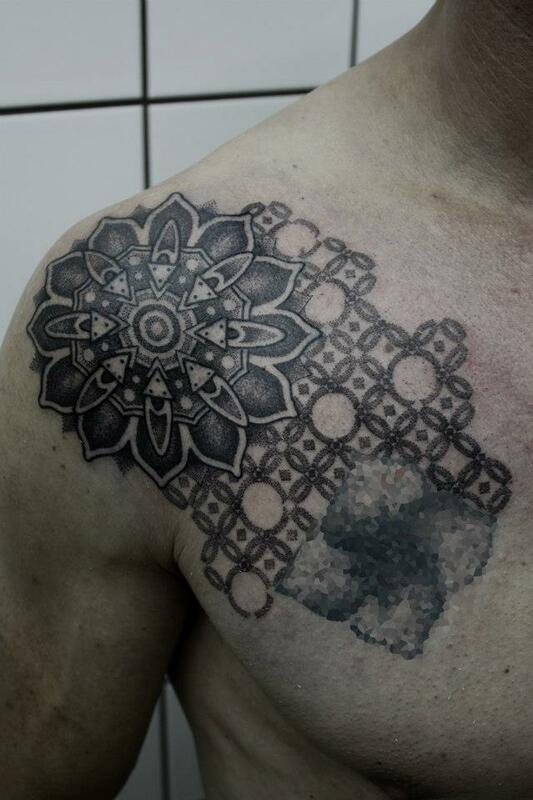 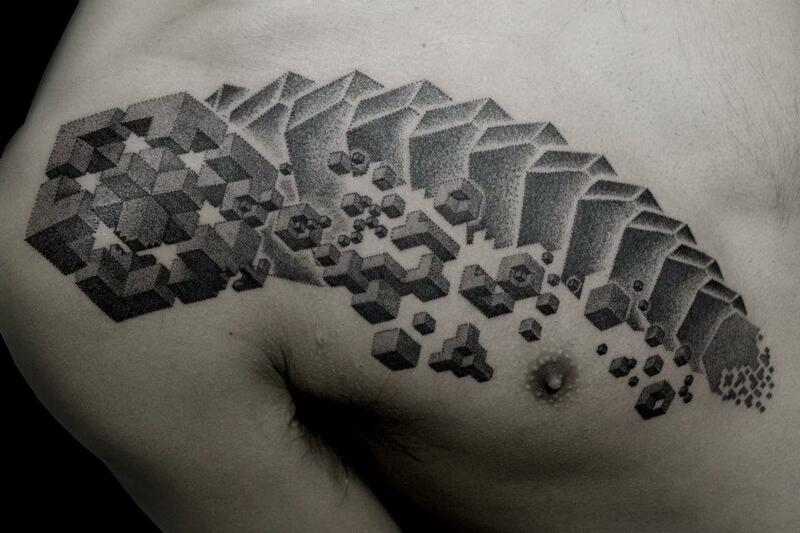 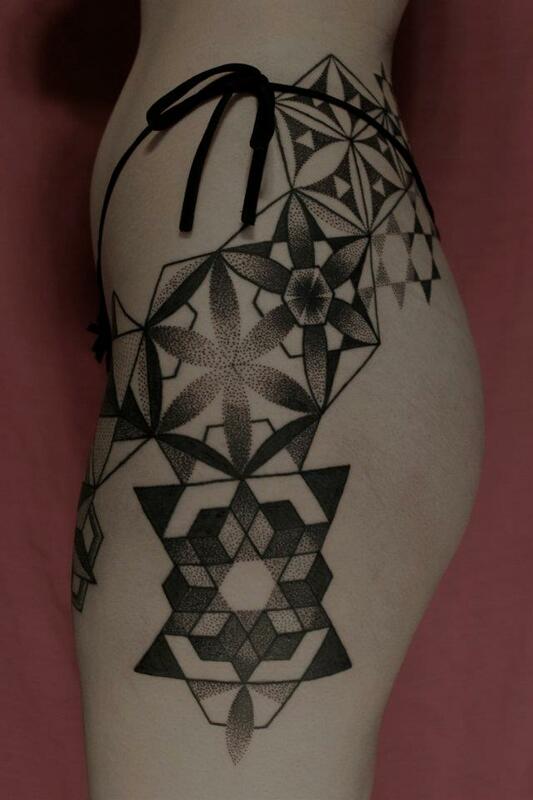 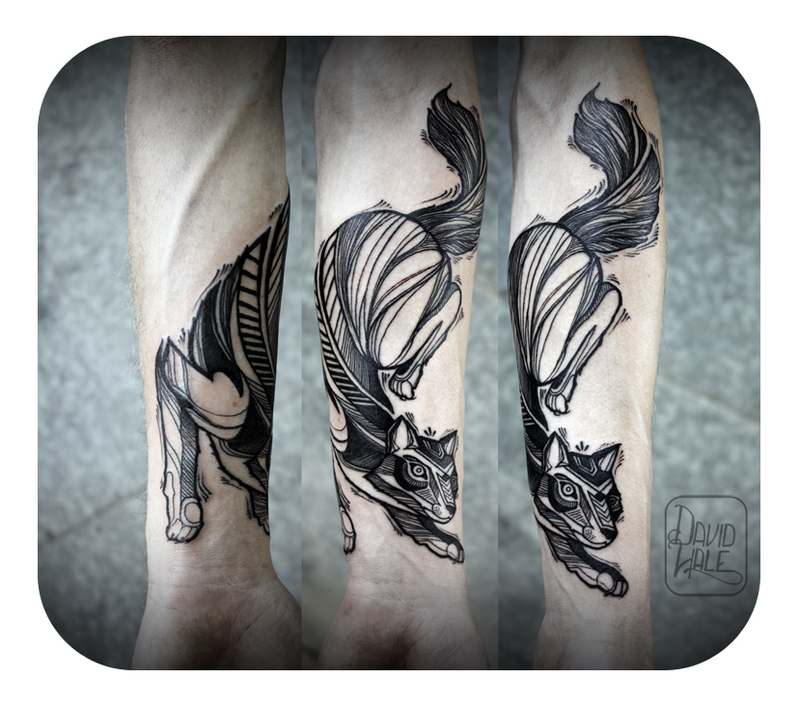 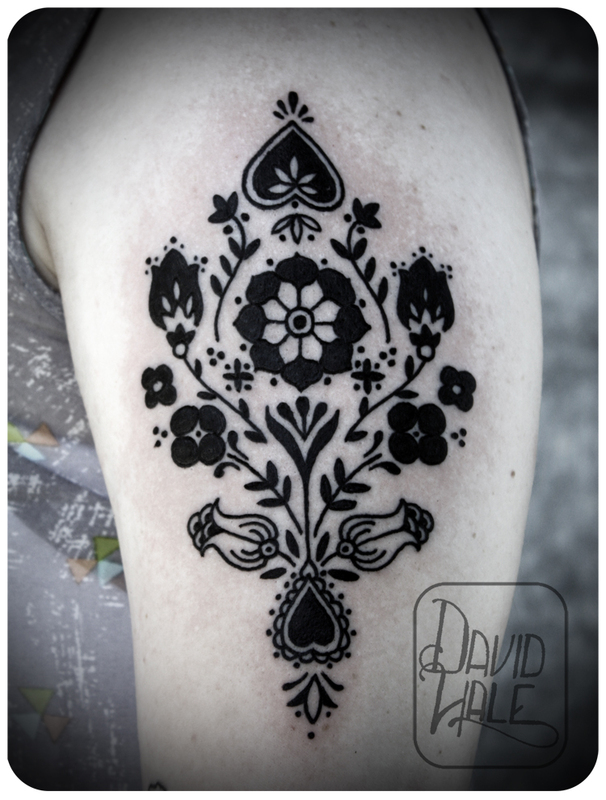 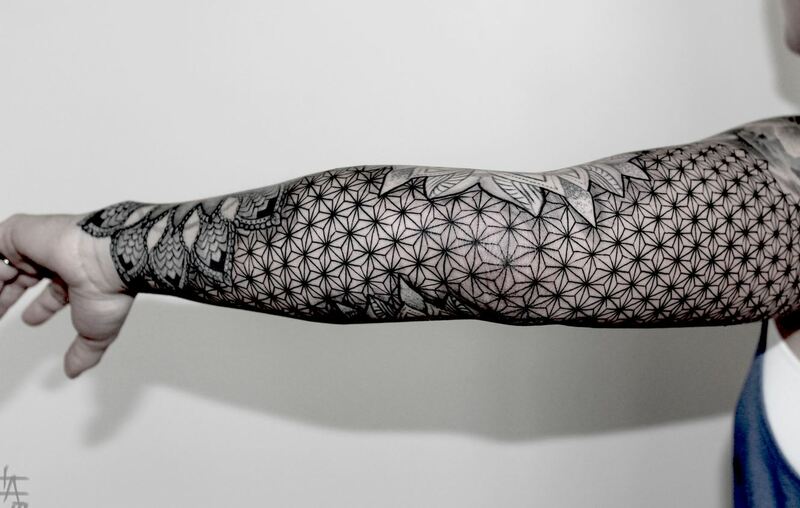 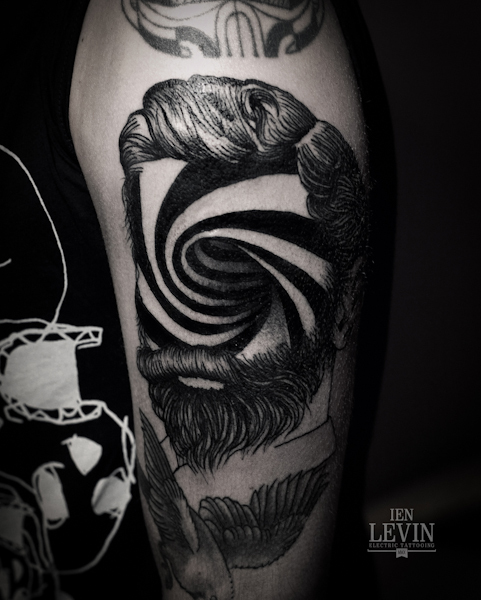 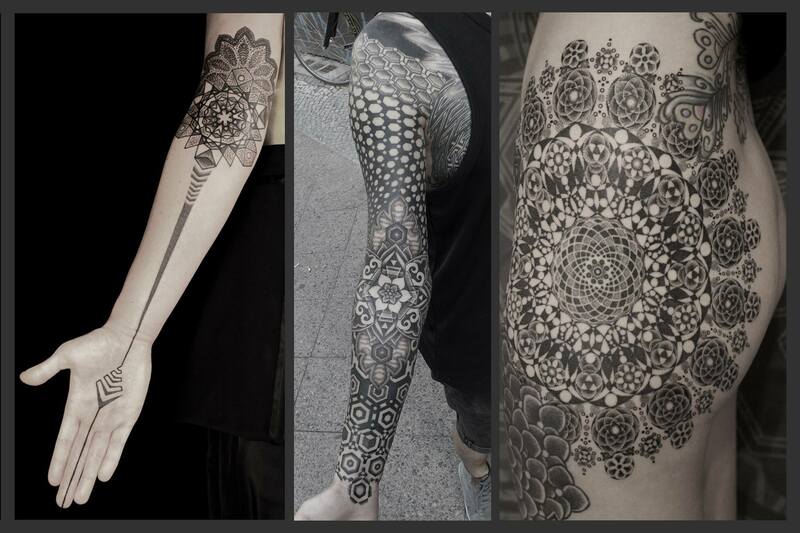 Known in the tattoo world as Dots to Lines, Chaim Machlev creates stark black-ink geometric tattoos that are both intricate and pristine.